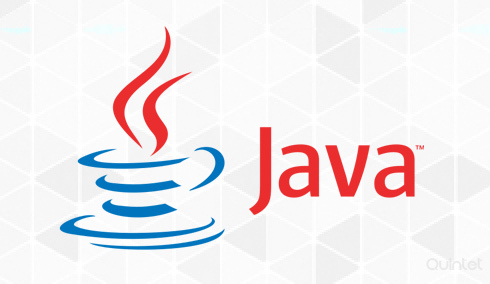 JAVA is a programming language that is designed specifically to be used across different computing environments. It is a high level language, strongly based on object oriented concept and with very few implementation dependencies as possible. It is designed to be secure, robust, dynamic and most importantly simple. Java is one of the most popular programming languages used by developers and runs on billions of computers, set top boxes, smart phones and other electronic devices. The main advantage of JAVA programming language is its portability and platform independency. Java program is compiled to a “bytecodes” rather than a platform dependant binary file. This bytecode can be run by any Java Virtual Machine (JVM) across any platform. Almost all popular operating systems contain inbuilt java virtual machines and so a Java program written on one platform can run in another. Java is designed to be easy to use and it is easy to learn also. It is a strongly typed language with a compact structure that lets you code with very few bugs. Since it has object oriented concepts, Java lets you write programs which are reusable and that keeps a modular structure. Java has inbuilt network capabilities that makes is ideal for distributed computing systems. Network operations in Java is as easy as writing and reading to a file. It supports single and multi threaded development and offers very high performance. It is also highly secure, robust and reliable. This is the age of smartphones and tablets where the user carries information at their fingertips. So it is imperative that any business needs a mobile face to stay ahead of competitors. We at Quintet have been doing mobile application development across various platforms for years and have already deployed several eye catching, well received applications. We are very much updated about changing trends in market, advanced technologies and always make sure to stay one step ahead. We at Quintet uses Java for developing applications for Android and blackberry platform. Web development in JAVA starts with choosing the right framework according to the requirement. We develop using various frameworks like Spring, Struts, Hibernate, Grails etc. Due to its portability, Java is ideal for cross platform desktop software development. There are various java based frameworks available that helps to create custom user interfaces and backend services and we are familiar with them. Java can be used to create complex, enterprise applications that enhance the productivity and reach of client business. We use JSP, JSF, Struts, EJB etc to create those applications. Software development life cycle is not complete until the final product reaches the end users. Our job is not only to create the app, but to help you deploy it. We undertake the responsibility of uploading of iOS, Android and Blackberry applications to their respective stores on time. We will be by your side if you want to migrate an existing software to different platform as well as integrate an application to an existing software etc.